The election of Donald Trump with a unified Republican Congress has generated tremendous anticipation for potential changes in the financial services sector. As a candidate, Trump ran on a platform of reforming the Affordable Care Act and Dodd-Frank. This is consistent with Republican policy in both the US House of Representatives and the US Senate. As well, Republicans agree that there also needs to be serious regulatory reform in all aspects of government. While there will be differences between the new Congress and president, the thrust will in this direction and, therefore, major changes are coming for the insurance industry. The repeal of the Affordable Care Act will likely occur in the first quarter of 2017 given that it is a lynchpin for tax reform. Below is a list of some key positions in the Trump administration (and nominees if announced), regulatory agencies, and Congressional Committees involved in the financial services and insurance sector. Unlike the banking sector, each individual state has significant regulatory power over its insurance industry. Accordingly, I’ve listed a few of the larger state commissioners. Each state independently regulates its own insurance industry, typically through a state department of insurance, under the current US state-based insurance regulation system. However, the insurance industry nationwide is also subject to federal regulation under the Commerce Clause of the US Constitution. The tables below show the full extent of the changes. The fact that the bill made it out of Congress indicates that the legislative language exists now to pass a new bill and present it to incoming President-elect Donald Trump so that he can fulfill this campaign promise. Note, this will be disruptive as the bill doesn’t have a replacement section to provide insurance to those currently being covered the by the ACA insurance exchanges. Currently, there are discussions on this issue as well as a time frame for a transition out of the current law. 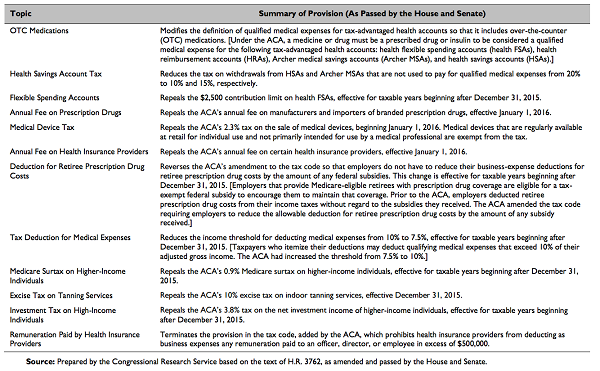 Nevertheless, it is my strong opinion that ACA repeal will need to occur prior to tax reform and therefore, will likely be passed by the end of Q1. Regulatory Changes. Beyond the Affordable Care Act, there is a wide range of regulatory issues likely to undergo change under the new Trump administration. The repeal and reform of the Dodd-Frank law will be difficult for two reasons. First, five major federal agencies have adopted the framework and implemented most of the provisions of the law. The Office of the Comptroller of the Currency (OCC), the Board of Governors of the Federal Reserve System, the Securities and Exchange Commission (SEC), the FDIC and the CFTC) will all need to agree to changes in order for repeal and reform to apply broadly. Second due to Senate rules regarding Congressional minorities, the industry should expect strong opposition to major changes from Democrats on the Senate Banking Committee. 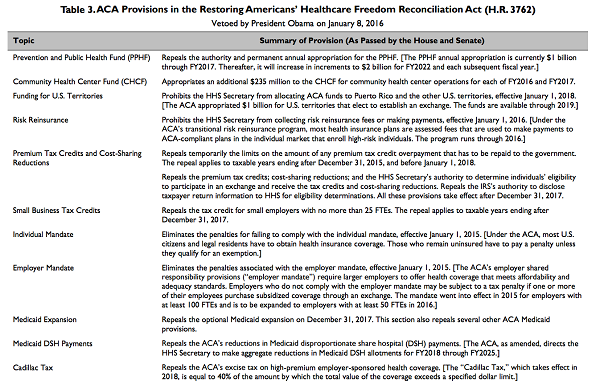 Unlike ACA, Dodd-Frank will not be part of a budget reconciliation and, therefore, it will not be subject to the 60-vote rule to cut off debate. Other regulatory issues like the DOL fiduciary rule or capital standards will also be fair game by Republican reformers, but most such regulatory reforms will be subject to the same hurdles as Dodd-Frank. One possible scenario is that the new heads of the federal agencies in charge of enforcing these regulations may choose not to act on them or to slow-walk their implementation. As an example, the fiduciary rule has been challenged three times in court and the DOL has won each time. The April 10th rule implementation date looms large for insurance companies selling variable annuity products to IRAs. The confirmation hearing for DOL nominee Andrew Puzder will likely be there will be more information on a strategy towards the rule. While cabinet secretaries have broad latitude to issue new rules, Puzder could issue an interim rule to delay implementation of the final rule, but the DOL would need to show good cause for this to occur. An alternative scenario would be for the SEC to act in this regulatory space and begin issuing their own rules towards investment advisors and investment products. Insurtech and Cyber. 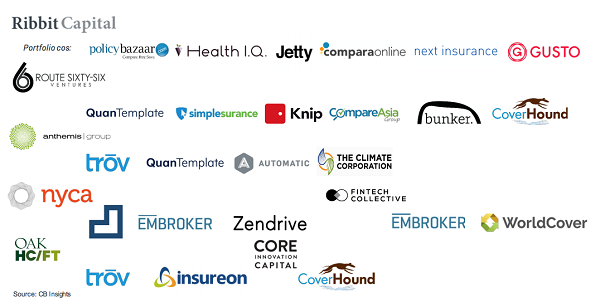 Insurance technology has been growing rapidly as new firms attempt to break into traditional insurance products. The chart below shows the heightened deal activity in this space, reaching a high in Q1 2016. While the regulations are substantial, these start-ups seem resolved to acquire customers first and then to sort out the legal ramifications later. Their goal is to fill an insurance need with a digital solution without having the client engage with a representative and to transact via smartphone. For cyber, the Board of Governors of the Federal Reserve System (Board), the Office of the Comptroller of the Currency (OCC), and the Federal Deposit Insurance Corporation (FDIC) asked for comment on an advance notice of proposed rulemaking (ANPR) regarding enhanced cyber risk management standards (enhanced standards) for large and interconnected entities under their supervision and those entities’ service providers. The agencies are considering establishing enhanced standards to increase the operational resilience of these entities and to reduce the impact on the financial system in the event of a cyber event that may impact one or all three of these entities. While insurance is not the target, this sets a regulatory path forward for cyber in the financial services sector. Given their purview to regulate systemically important financial institutions including insurance companies, these agencies and their actions should be noted.